I am grateful to the many authors who have published before me and influence my writing, including Elizabeth Gilbert. I first was introduced to Elizabeth Gilbert’s writing through reading Eat Pray Love in 2006, the year my mother died. Eat Pray Love is one of those books that captivated me from the start, and kept me engaged all the way through. I remember not being able to put it down. Her book Big Magic had the same impact on me. She takes us with her on an inspiring journey through her creative process with sincerity and authenticity, exposing the depths her commitment to stay the course through the ups and downs. 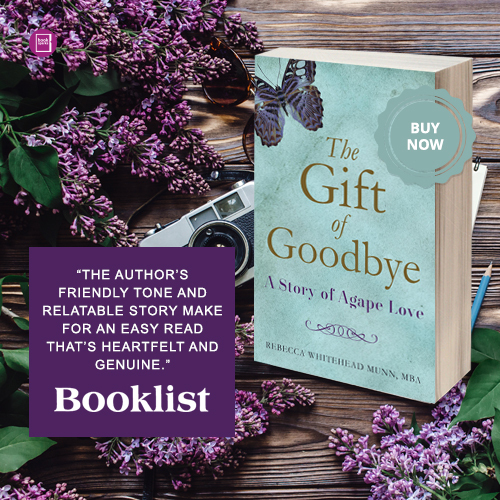 It is Elizabeth’s honest and conversational style through all of her writing that inspired me the most in writing The Gift of Goodbye.